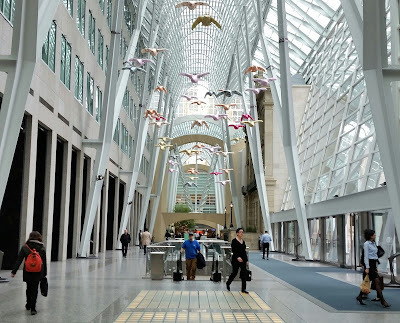 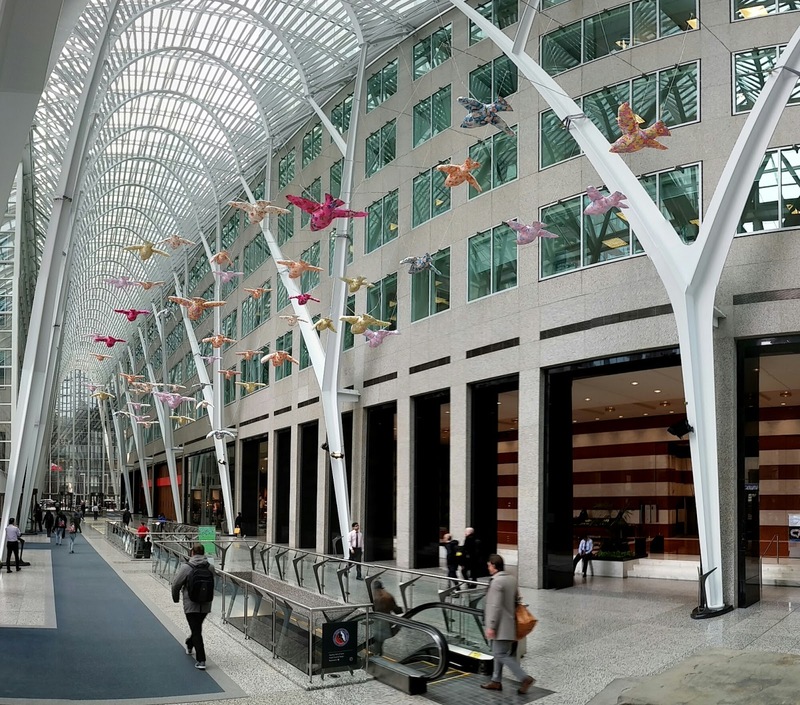 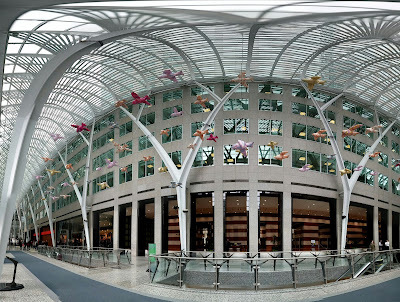 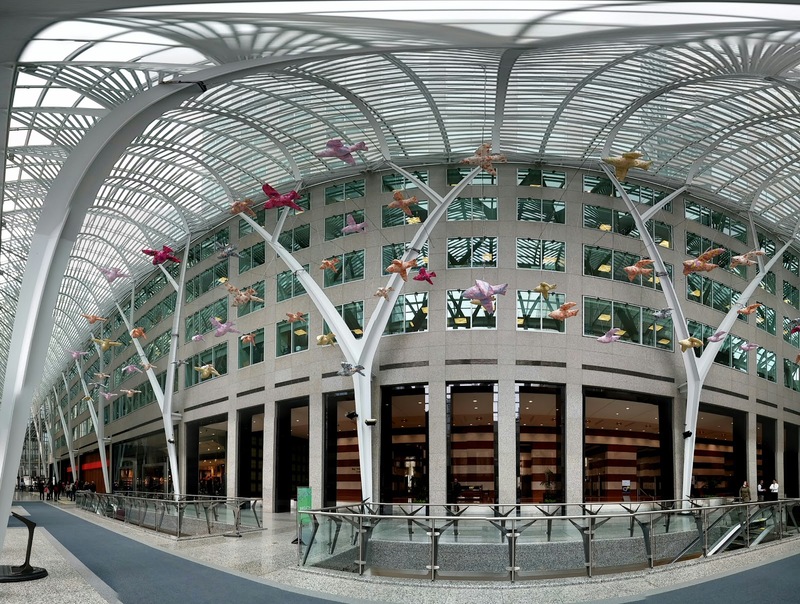 Studio F Minus has created a flock of birds flying in the Allen Lambert Galleria. The birds look like they are made with some colourful pajama material and are hooked up to flap their wings. 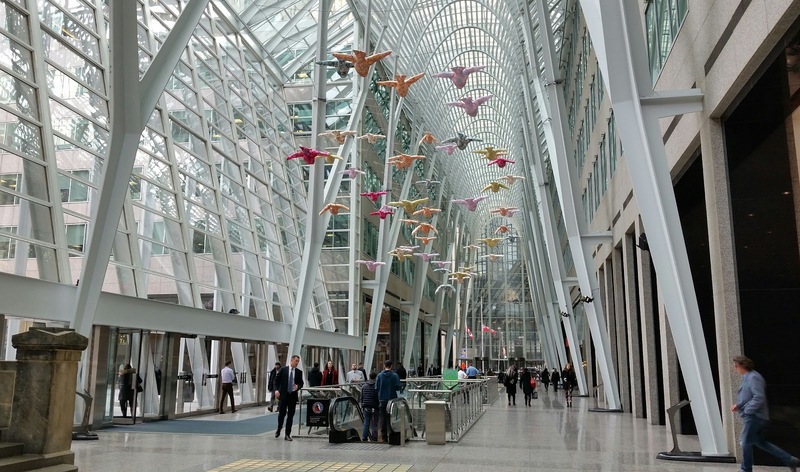 The 50 birds were commissioned by Brookfield in celebration of Earth Day and will remain flying from April 9-27, 2018.